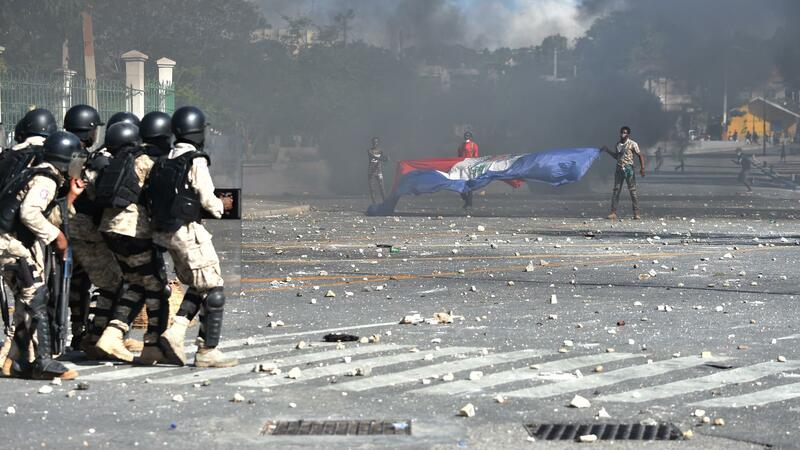 Haitian police have struggled to control street protests as demonstrators call for President Jovenel Moise to resign over alleged misuse of the Petrocaribe fund. The U.S. advisory comes one week after anti-corruption protests intensified, reflecting fury over a court report that alleges billions of dollars in development money from Venezuela's Petrocaribe fund were diverted or misused. The accusations include Moise and a company he headed before he took office in 2017. 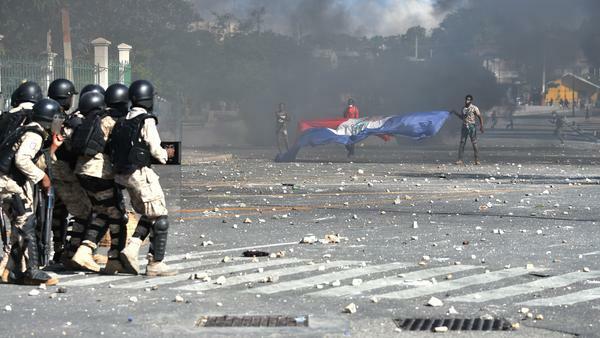 At least seven deaths have been reported, and large demonstrations have paralyzed much of Haiti, with barricades and roadblocks and the threat of roving criminals. Until Thursday night, Moise had not spoken at length publicly about the situation, but he broke his silence in a national address that was aired on TV and streamed on Facebook. "I hear you," Moise told the country in Creole, echoing remarks he made when protests roiled the country last July. He acknowledged the crisis has grown more serious since then — but the president rejected the idea of resigning, saying he wanted to work on behalf of regular people. "I will not leave the country in the hands of armed gangs and drug traffickers," he said, according to Agence France-Presse. His critics say Moise is a symbol of the mismanagement and profiteering that take place at the highest levels while Haitians watch their country sink deeper into poverty. In recent years, Haiti's already bad economy has unraveled, bringing double-digit inflation and high prices for essential goods. The demonstrations against Moise are widespread and unpredictable, the U.S. said, citing incidents of burning tires and roadblocks. The U.S. is urging any Americans who are in Haiti to "strongly consider" leaving as soon as they can. "Protests, tire burning, and road blockages are frequent and unpredictable. Violent crime, such as armed robbery, is common," the State Department said in a recent security update. 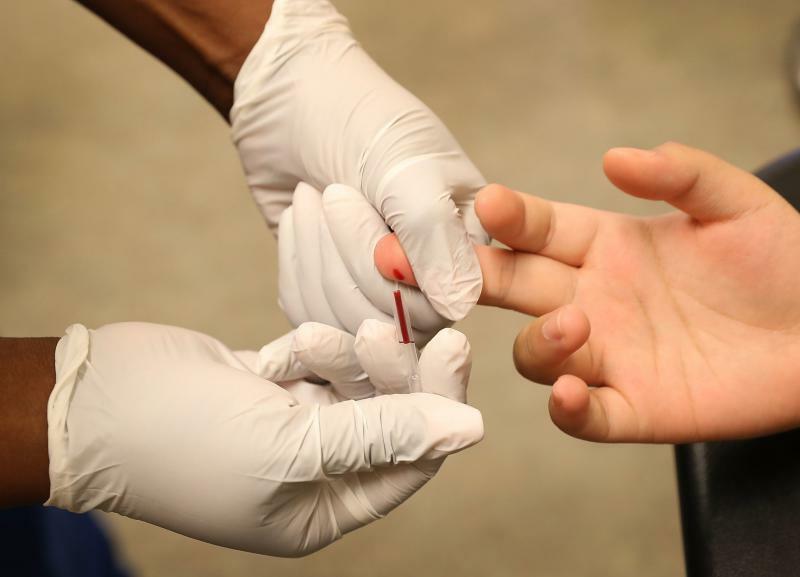 "Local police may lack the resources to respond effectively to serious criminal incidents, and emergency response, including ambulance service, is limited or non-existent." Amid the chaos, inmates staged a mass breakout at a prison, with 78 prisoners escaping from a facility in Aquin. Haiti is the poorest country in the Western Hemisphere; it's deeply in debt and is still struggling to recover from 2010's devastating earthquake. Its infrastructure also was ravaged by Hurricane Matthew in 2016. Commercial flights are still operating in and out of international airports in Port-au-Prince and Cap Haitien — but the State Department said traveling to or from those hubs also poses a unique security risk. "Travelers are sometimes targeted, followed, and violently attacked and robbed shortly after leaving the Port-au-Prince international airport," the State Department said. "The U.S. Embassy requires its personnel to use official transportation to and from the airport, and it takes steps to detect surveillance and deter criminal attacks during these transports." The State Department says anyone trying to reach the airports would need to be mindful of pop-up demonstrations, debris, rock-throwing and roadblocks — which should be avoided by simply turning around. The unrest follows similar scenes last July, when deadly clashes and large protests brought the resignations of the prime minister and more than a dozen Cabinet members. That crisis was sparked by fury over a spike in gas prices, after the government agreed to let fuel prices rise as part of economic reforms set by the International Monetary Fund. Last month, Haiti took a surprising stand against Venezuela's current government, joining the U.S. in refusing to recognize the legitimacy of Nicolás Maduro's new term as president, in a vote at the Organization of American States. It was a stark reversal of Haiti's stance one year earlier, as Haiti Liberte reported. Haiti has kept fuel prices artificially low since 2010, trying to ease the pressures of recovering from that year's earthquake. But when the government abruptly tried to raise them — seemingly hoping to use an engrossing match during last year's World Cup as a distraction — the public acted out. The decision was quickly reversed, but Moise's political crisis has continued. At least 28 Haitians drowned in waters near the island of Abaco in the Bahamas after the vessel carrying them sank, possibly hitting a reef. The Royal Bahamas Defense Force said they were alerted about the tragedy on Saturday after bodies were found floating in the water. So far, there are 17 survivors, and the search-and-rescue operation remains ongoing, Royal Bahamas Defense Force spokesman Jonathan Rolle told the Miami Herald.